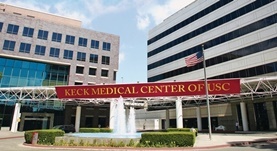 Dr. Nicholas Trakul is a radiation oncology specialist in Los Angeles, California and he works at several hospitals in the area, including USC Norris Cancer Hospital and Keck Medical Center of USC. He got his diploma from Wayne State University School of Medicine and did his internship at the University of Hawaii. 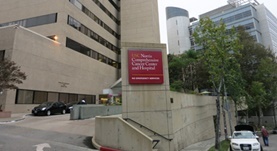 Dr. Nicholas Trakul completed his residency in Radiation Oncology at Stanford University. The doctor is board certified in Radiation Oncology and has an experience of more than 10 years. Dr. Nicholas Trakul has contributed to 3 publications. Pre-treatment non-target lung FDG-PET uptake predicts symptomatic radiation pneumonitis following Stereotactic Ablative Radiotherapy (SABR). Chaudhuri, A. A.,Binkley, M. S.,Rigdon, J.,Carter, J. N.,Aggarwal, S.,Dudley, S. A.,Qian, Y.,Kumar, K. A.,Hara, W. Y.,Gensheimer, M.,Nair, V. S.,Maxim, P. G.,Shultz, D...; Radiother Oncol. 2016 Jun 09. Lung Volume Reduction After Stereotactic Ablative Radiation Therapy of Lung Tumors: Potential Application to Emphysema. Binkley, M. S.,Shrager, J. B.,Leung, A. N.,Popat, R.,Trakul, N.,Atwood, T. F.,Chaudhuri, A.,Maxim, P. G.,Diehn, M.,Loo, B. W.; Int. J. Radiat. Oncol. Biol. Phys.. 2014 Jul 13. Tumor volume-adapted dosing in stereotactic ablative radiotherapy of lung tumors. Trakul, N.,Chang, C. N.,Harris, J.,Chapman, C.,Rao, A.,Shen, J.,Quinlan-Davidson, S.,Filion, E. J.,Wakelee, H. A.,Colevas, A. D.,Whyte, R. I.,Dieterich, S.,Maxim, P. G...; Int. J. Radiat. Oncol. Biol. Phys.. 2012 Mar 03.